“Decrease AOG and arrest revenue leakage” – That’s the strategy that has been driving investors in the aviation industry and airliners for years. Aircraft Utilization is the most significant..
Change, is a remarkable constant; and our ever evolving world is a marvelous testimony to it. We have come a long way; from cave paintings to optical systems; from horsebacks to jet planes. But then,.. In other words, when you are looking for a different outcome, think about what difference you can do by..
Aircraft maintenance by the very nature of its complex execution process produces a series of records that provide important information about the actual maintenance process being carried out, the.. 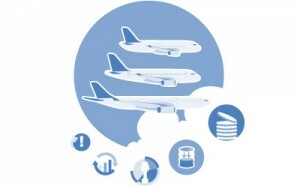 In this era of modern aircraft, Loadable Software Airplane Parts (LSAP) is becoming an integral part of Aircraft Configuration. LSAP along with the relevant Hardware parts constitute the Loadable..
Aircraft Maintenance by definition is “Overhaul, repair, inspection or modification of an aircraft or aircraft component”. It doesn’t include activities like Servicing, works done before issue of..
Wouldn’t it be amazing if there could be devices that can see the world the way we do, recognize images and objects like the human brain and pull in information from knowledge, images and ideas? A.. In this modern world of digitization, each and every one of us realize the touch of digitization in our daily lives and aviation industry is no longer an exception. In..